Mike Pompeo was sworn in late Monday by U.S. Vice President Michael Pence as the new director of the Central Intelligence Agency, amid protests from surveillance critics who worry about his conflicting views on a number of key issues. The oath of office was administered to him after the Senate voted in favor of his confirmation in a 66-32 vote. Critics of Pompeo, a Republican representative from Kansas, are concerned that he may weigh in with the government on a rollback of many privacy reforms, including restrictions on the collection of bulk telephone metadata from Americans by the National Security Agency under the USA Freedom Act. There are also concerns that the new director may try to introduce curbs on the use of encryption and bring in measures to monitor the social media accounts of people. The new CIA chief wrote in January last year in an op-ed that Washington is “blunting its surveillance powers” with measures like the USA Freedom Act. Pompeo had previously voted in favor of the legislation. “Congress should pass a law re-establishing collection of all metadata, and combining it with publicly available financial and lifestyle information into a comprehensive, searchable database,” Pompeo wrote in the op-ed he coauthored with constitutional lawyer David B. Rivkin. During a recent confirmation hearing, Pompeo did not provide details of limits he would accept, if any, to the new surveillance powers he has suggested. 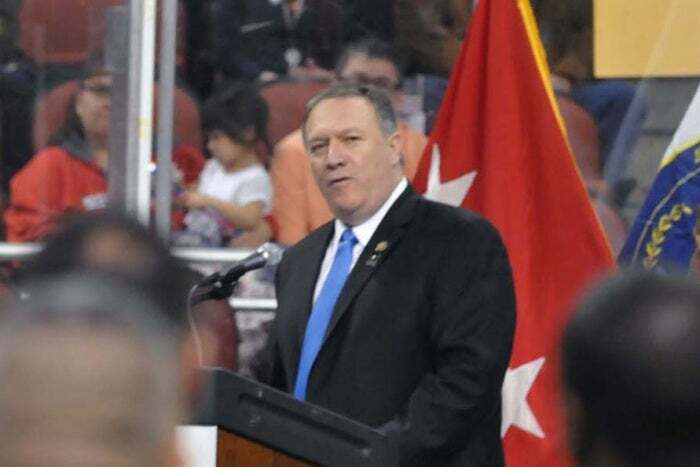 His proposals have not unexpectedly irked critics of the government’s surveillance, who are concerned that Pompeo has not clarified when asked for details about the kind of data he would like the government to collect. “After two rounds of submitted questions and a hearing, we still don’t know what Congressman Pompeo meant when he referred to 'all metadata' or how he defines 'publicly available financial and lifestyle information,'" said Ron Wyden, Democrat senator from Oregon, in a speech in the Senate. The CIA last week updated rules governing the collection, retention and dissemination of information on U.S. persons with an eye to addressing concerns about the collection and handling of information on U.S. persons in the course of overseas surveillance. One of the measures was to put a five-year limit on the holding of sensitive data. The rules introduced under the administration of former President Barack Obama come into effect on March 18.